Help me understand the Feds plan of higher deposits. On Dec 11/15, Finance Minister Bill Morneau announced that CMHC will begin to require a 10% down payment for home purchases valued between $500,000 and $999,999. How is this going to curb or keep in check the ever increasing housing costs in the GTA? I understand the increasing cost of house values. I understand the concern the Government has in attempting to protect the financial interests of homeowners, I also understand the impact interest rates will have on these mortgages. Having saved $50,000 to purchase a home doesn’t sound all that much when considering the mortgage amount plus CMHC insurance. The difference in cost from the current method to the new method is approximately $12,500. This difference is dwarfed by the potential market correction – if and when that ever occurs. If the value of a $750,000 home were to drop just 2%, the home buyer would already lose the $12,500 difference and if the market drops 7%, they would have lost their $50,000 deposit. This 7% amount is what the housing gain represented last year*. How does having a Down Payment increase of $12,500 aide home buyers in this market? My concern is what happens to the cost of carrying a $700,000 mortgage if the rates were to move even just 1% (I know, all of you that owned property in the 80’s-90’s are laughing right now as rates were as high as 21%). Buyers are still able to access cheap monies from the banks. These monies is what is fuelling the increasing house prices. Banks are ok to lend and buyers are fighting to take ‘good’ properties. Some of these buyers are funded by overseas accounts or money back home/family and add to fueling the buyers frenzy. Great for the seller! Terrible for the buyer with only $50,000. What are buyers to do? 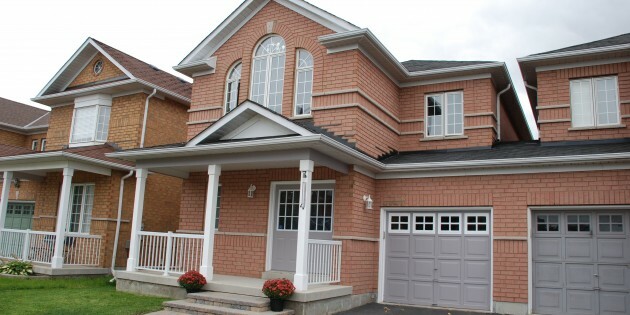 Showing property in the $500,000 in and around the GTA may not even buy you a re-build. Anyhow, I’m not sure what the increase in the Down Payment amount is really designed to do other than force buyers to seek alternative sources. These buyers that will be effected are really first time buyers and it may force them to remain in a rental position for several more years. The Landlords are happy, the investors would still buy and resellers are not affected…I’m just not convinced it will produce the results it was targeted for, after all the Toronto double Land Transfer Tax hasn’t slowed anything down and that is a considerable impact. Get timely information on how Lifestyle55 can help create the lifestyle income you want! 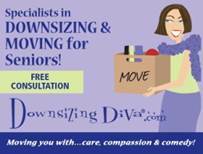 Looking to downsize in 2017? What can you do?